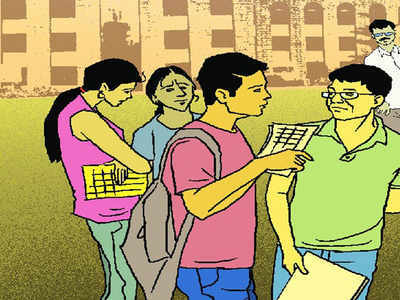 PUNE: The National Institutional Ranking Framework (NIRF) results for 2019 have shown that the city institutes have not been able to change the manner in which they are perceived in the past three years. With fewer marks in the research component, perception is what drags down most city institutes when compared to those ranked above them. The five parameters adjudged by NIRF include teaching, learning and resources; research and professional practice (RPP); graduation outcome; outreach and inclusivity; and perception. Among these, NIRF data shows that in the perception parameter, Fergusson College scored the highest (60.36) whereas PimpriChinchwad College of Engineering, MAEER’s Maharashtra Institute of Pharmacy and PE Society’s Modern College of Pharmacy scored the lowest at zero points. Even so, Fergusson College could not breach into the top 10 ranking, finally standing at rank 27 due to its low score in RPP (16.36). Fergusson College principal R Pardeshi did not respond to calls to present his version in the matter. Symbiosis Institute of Business Management scored the highest in graduation outcome (94.47%) among all Pune institutes but in RPP it scored just 8.75% and 28.69% in perception. Savitribai Phule Pune University scored only 16.55% in perception. Vice Chancellor of SPPU Nitin Karmalkar had said that the low research outcome is due to a paucity of teachers and the university is working hard to better its perception. College of Engineering Pune, when asked about its score in perception (15.42) and RPP (20.52) said, “For perception, NIRF sends a mail to stakeholders asking for feedback. These stakeholders are unknown to us and mostly consist of alumni and industrialists. It is up to the HR department of these industries to fill and submit the form. If they don’t do so, the score is considered as zero. Hence, it is not entirely based on facts,” said CoEP director BB Ahuja.